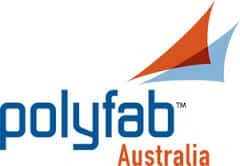 We have over 2 decades worth of experience in the wholesale supply of shade cloth rolls and cut length material, Australia-wide, including Adelaide where we are located. 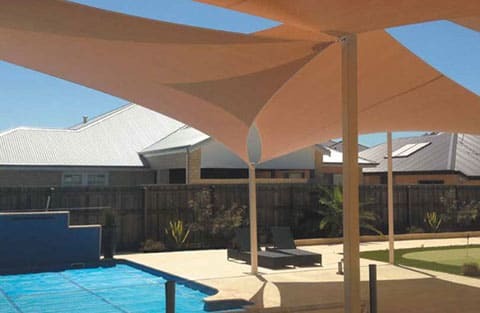 POLYFX® shade sails are ideal to protect people from the sun around leisure areas and swimming pools. 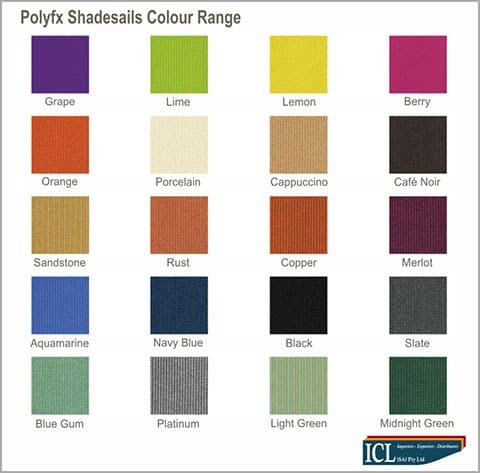 POLYFX® can be used around beach entertainment and barbecue facilities, outdoor leisure and picnic areas. Other applications include playgrounds, preschools, secondary schools, camping grounds, hotels, motels and holiday resorts. 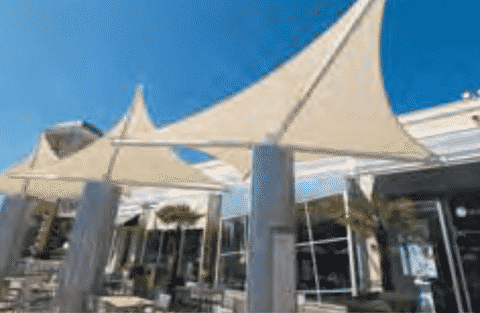 This highest quality shade cloth material provides maximum people protection against the sun’s heat and strong Ultra Violet (UV) rays and utilises the best UV stabilisers from BASF. 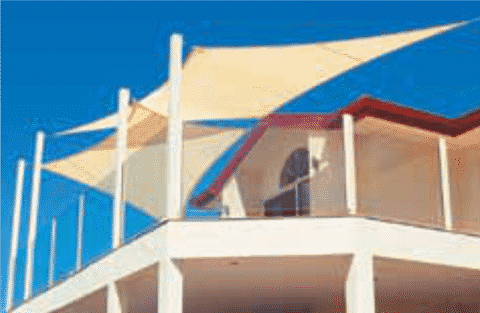 It also provides good protection against wind, rain and hail and comes with a ten year warranty against UV break down. 3.8mt wide available in full rolls and cut to length. Supported by engineering certification, COMSHADE® allows for high tensile loadings. The shade cloth’s fabric is heat set, making it easy to use as it lays flat, not curling or rolling up when marked out, cut or sewn, and saving you time and costs. COMSHADE® has less shrinkage and is more stable than other shade cloths, while maintaining high strength and over 90% UV protection. It is made from virgin resins and the best UV stabilizers which are lead and heavy metal free and is supported by a 10 Year UV warranty. 3.8mt wide available in full rolls and cut to length. 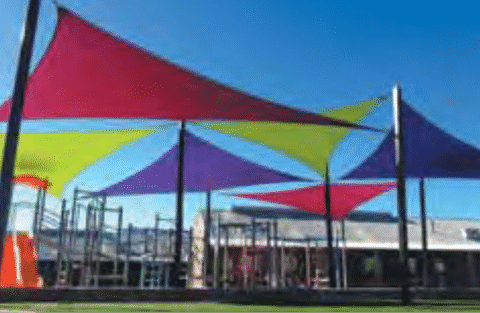 MONOFILAMENT shade cloth protects against UV exposure, heat, wind, rain and hail. 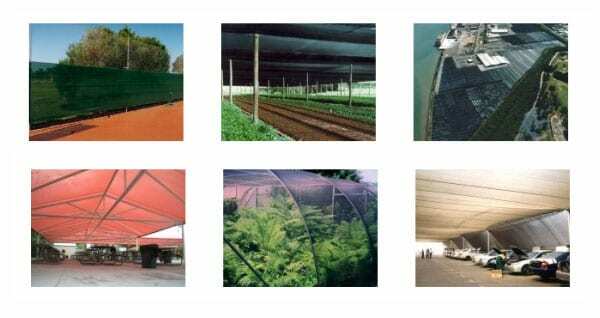 MONOFILAMENT shade cloth can be used for plant protection, as scaffold cover or site screening, wind break protection and car protection. 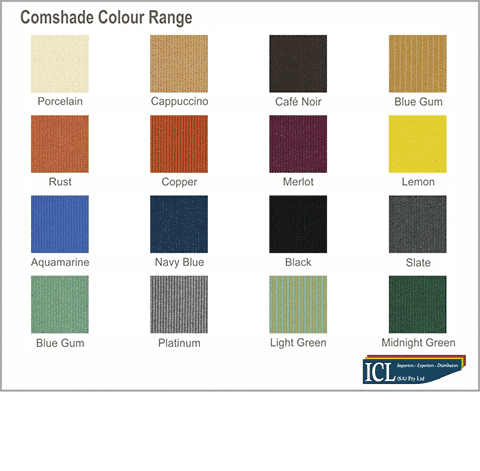 MONOFILAMENT shade cloth is a high quality knitted shade cloth manufactured using only virgin resins and the best UV stabilisers from Ciba Speciality Products that are available. 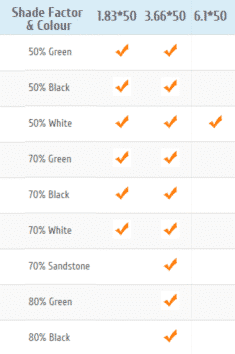 MONOFILAMENT shade cloth comes in a range of colours, sizes, shades & U.V. constructions. Note: not all of the product range is available as Cut To Length.